Netmeds supports tracking only on desktop site. The Flat 20% discount - applicable ONLY on Medicine purchases, placed using the coupon code: MEDSMUSIC. The FREE 3 Months Gaana Plus Subscription offer - eligible for ALL customers who purchase ANY products, using the coupon code: MEDSMUSIC. Note: The unique coupon code to activate the FREE 3 Months Gaana Plus Subscription on the Gaana app will be sent to the customers ONLY after the order is delivered. 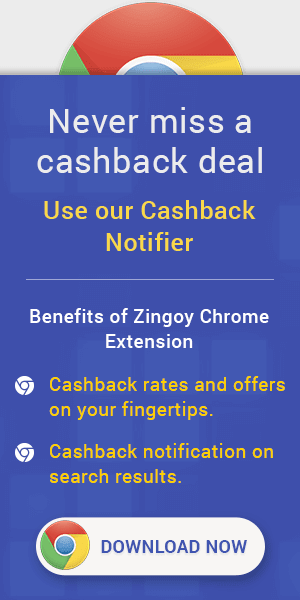 Netmeds PayPal Cashback Offers : The PayPal Cashback offer entitles you to get up to Rs. 250 PayPal instant cashback (Flat 50%) when you purchase a minimum of Rs. 50 worth of ANY products using the PayPal payment option at Netmeds.com/Netmeds App. The Paytm Cashback offer entitles you to get a Flat Rs. 200 Paytm Cashback when you place TWO orders worth a minimum of Rs. 1000 each using the "Paytm wallet option" on Netmeds.com/Netmeds App, where the 'second order' MUST be placed within 30 days of placing the 'first order'. Please note that Rs. 75 Paytm Cashback is offered on ‘first order’ and Rs. 125 Paytm Cashback on ‘second order’. Under this offer, Amazon Prime customers are entitled to get up to Rs. 125 (Flat 10%) Cashback as Amazon Pay balance on orders paid using the Amazon Pay option on Netmeds.com/Netmeds App. The 10% Amazon Pay Cashback is offered on the purchase of ANY products EXCEPT those under the Sexual Wellness category at Netmeds.com. Please Note: This offer is valid for Amazon Prime customers ONLY. Get Flat 20% discount (max. Rs. 5000) on a Pre-Paid/COD order of a minimum of Rs. 500 worth of prescription medicines only, AND a 20% NMS SuperCash of max. Rs. 3000 on ONLY ‘pre-paid’ medicine orders valued at a minimum of Rs. 500 or more, placed on Netmeds.com/Netmeds App. The coupon code for this offer is NETMEDS40. Netmeds Cashback Codes : Avail Flat 20% OFF on All Medicines, Use Code: FLAT20. (No Minimum Order Value is Required) - T&C apply. Flat 15% discount (max. Rs. 5000) on a Pre-Paid/COD order of prescription medicines of ANY value, AND a 10% NMS SuperCash of max. Rs. 3000 on ONLY ‘pre-paid’ medicine orders of ANY value, placed on Netmeds.com/Netmeds App. The coupon code for this offer is NMSRX25. 100% Pure & Fresh Products. Pay using PayPal to get up to Rs. 500 PayPal Cashback (FLAT 50%) on your first ever transaction using PayPal. Offer Is Limited. 100% Original Fresh & Pure Items. Pay using PayPal to get up to Rs. 500 PayPal Cashback (FLAT 50%) on your first ever transaction using PayPal. Offer Ends Soon. Products Like Dabur Shilajit Gold Capsule 20's, Dabur Ratnaprash 450 gm, Dabur Glycodab Tablet 60's, Dabur Naturecare Double Action Powder 100 gm, Dabur Ashokarishta 450 ml, Dabur Clove Oil 2 ml and more..100% Original & Pure. Offer is Limited.